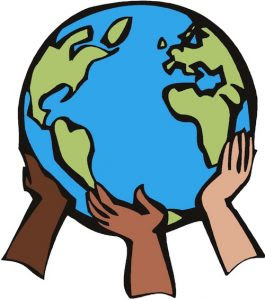 Today is a civic holiday in the province of Ontario. 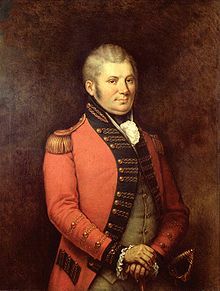 In Toronto, this day is officially called "Simcoe Day" in honour of John Graves Simcoe who in 1791 beame the first lieutenant-governor of the newly created province of Upper Canada, now modern day Ontario. Although Simcoe was instrumental in the shaping of Ontario and Canada, I doubt many school children can identify the man or his achievements. John Graves Simcoe was the founder of Toronto. It was his decision to move the capital of Upper Canada from Niagara to Toronto (then known as York). He also established Yonge and Dundas Streets as major north/south and east/west thoroughfares and named Dundas Street after his friend Henry Dundas. Furthermore, he was responsible for introducing English common law to Upper Canada. Perhaps Simxoe's greatest accomplishment was banning the importation of slaves to the province. Prior to assuming office as lieutenant-governor, Simcoe codemned the practice of slavery and called for its abolition. He said, ""The principles of the British Constitution do not admit of that slavery which Christianity condemns. The moment I assume the Government of Upper Canada under no modification will I assent to a law that discriminates by dishonest policy between natives of Africa, America or Europe." Although Simcoe proposed to abolish slavery outright, he was opposed by the Legislative Assembly of Upper Canada. As a compromise, Simcoe passed legislation allowing for the gradual abolition of slavery in the province. The Anti-Slavery Act of 1793 forbid any new slaves to be brought into Upper Canada and children born to female slaves were to be freed at the age of 25. As both an Ontarian and a Canadian, I am proud to say that this act was the first act to limit slavery in the British Empire. It remained in effect until 1833 when the Emancipation Act abolished slavery in all British holdings, including Ontario. From the perspective of the 21st century, this may not seen like much, but given the temperament of the times, this was very progressive legislation. Enjoy this holiday Monday and spare a thought for John Graves Simcoe. Alexander Graham Bell, the great inventor, scientist and aviation enthusiast died on this day in 1922 at the age of 75. Bell was born in Edinburgh, Scotland on March 3, 1847. In July of 1870, he immigrated to Canada with his parents and settled in Brantford, Ontario. His wife Mabel, the daughter of a Boston lawyer, was born at Cambridge, Massachussets. Bell died an American citizen, but loved Canada. He died at his estate in Victoria Country, Nova Scotia. The name of the estate is Beinn Breagh which means "beautiful mountain" in Scottish Gaelic. In the summer of 1994, I visited the Alexander Graham Bell Museum in Baddeck, Nova Scotia but did not get an opportunity to see Beinn Breagh. The property is privately owned and there is no public access to it. The Blue Jays did zilch, absolutely nothing. They made no moves before the July 31st trade deadline. As the 4:10 p.m. deadline approached, I listend attentively to the car radio on the way to Walkerton on Saturday, There was no news. General Manager Alex Anthopoulos stated that he didn't want to make a trade just for the sake of making a trade. The right deal did not come along. Meanwhile, the Jays lost the rubber match of their 3-game series with Cleveland by a score of 5-4. Now they have to enter the Bronx Zoo for a date with the New York Yankees.